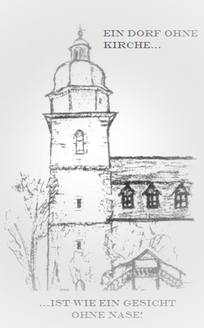 The oldest mentioning of our St. Martin und Johannes church appears on a document from Walkenried dated 11 November 1231. The early-gothic altar room and its ogival groined vault ceiling indicates it being built in the 13th century. Until the 14th century the altar choir room is said to have been a chapel of Virgin Mary, ministered by the convent Himmelgarten. During the 15th century the nave and the bell tower were added (1430-1500), also when the late-gothic winged altar was built and put up. Since the early 15th century Bielen is mentioned as independent parish. 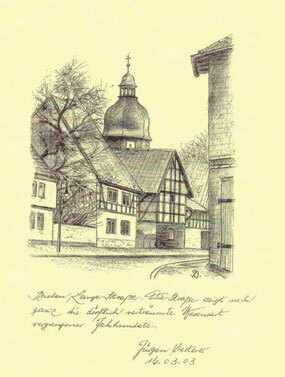 In the years 1495 and 1506, Biela (Bielen) has a pastor and a vicar (Ludwig Osterroth). In 1662 the pipe organ was installed. In 1670 the chuch was equipped with a bell with the inscription: "Verbum Domini Manet In Aeternum" (The word of God spreads through eternity).